However experienced and competent a rider you are, chances are that at some point your bike is going to get damaged from: a) falling off the sidestand, b) losing your footing, c) going down at a trackday, or d) a run-in with other traffic. One thing is certain – if you drop an unprotected bike it’s going to cost you money. So it’s worth having some mechanical insurance. Even so, by protecting your machine you’re also protecting your no claims bonus. Minor accident costs will come in at below or close to your policy’s excess figure, so you end up paying anyhow. Any special tips for trackday riders? Trackday addicts often have a second bike, complete with race bodywork. But if this is out of your wallet’s scope, it’s possible to change almost every vulnerable component, from footpegs to fairing stays and sub-frames for cheaper aftermarket items. 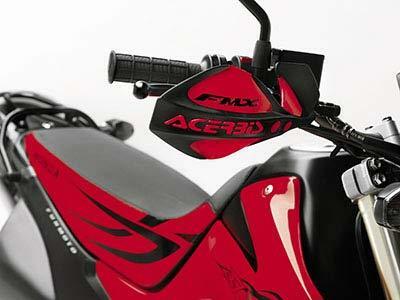 Aftermarket road-going bodywork will protect the value of the bike, without compromising road-usefulness. What’s the best form of crash protection? This largely depends on your bike. 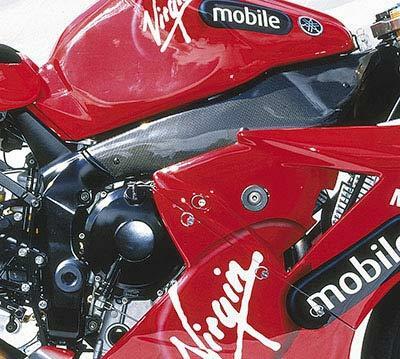 Generally the biggest financial sting comes with replacing large fairing panels. Crash bungs, which are relatively inexpensive, go a long way to protecting these. Specific models of machines can have specific problems; take a good look at your bike and work out what will get trashed if the bike goes down – bikes with aluminium beam frames are at risk, as are the bar ends, too. Exhaust cans are also expensive and vulnerable, as are protruding engine cases. For about £150 it’s possible to defend over £1000 worth of components, saving you in the long run. 1. There are many types of crash bung available, but thoughtlessly mounted ones (the sort mounted on a long bracket to gain access through a panel hole) can do more harm than good as the brackets can bend on impact, potentially causing the bung to muller your engine casing. 2. 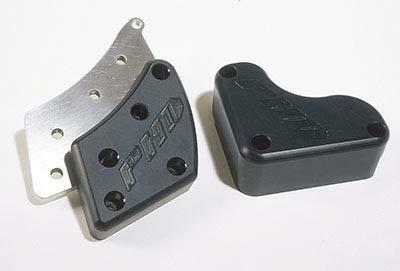 Hard nylon types attached to engine-mounting or swingarm pivot points are best, but may involve cutting the bodywork for them to fit. 3. 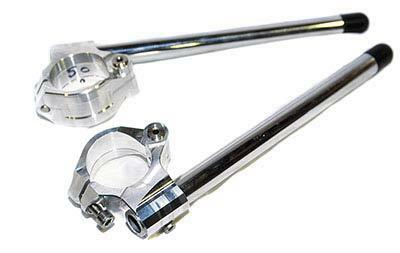 Protect your forks by mounting bungs through the front wheel spindle. 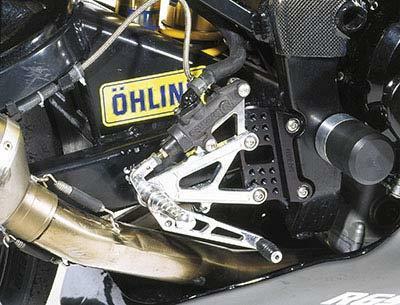 This holds the forks above the ground – forks inevitably hit kerbs, too – as the bike slides. For about £30 they can save every bike owner an awful lot of crash cash, are very quick and easy to fit but are only suitable for bikes with hollow front wheel spindles. 4. 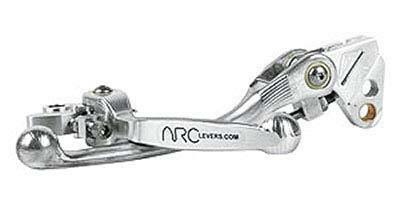 Originally from the off-road market, more and more fold-up levers are available for road-biased bikes. Rather than snapping when the bike falls on its side, the lever folds via a hinge near its pivot point. Levers with indented snap-off points allow just the end of the lever to snap off. But remember, levers without ball ends will fail an MoT. 5. Carbon-fibre frame guards look smart, are easy to fit and prevent scratches, chips and small dents to aluminium or steel frames. They can be the difference between a bike being written off or repaired. Usually held in place with sticky foam pads or low-tack silicone sealant. 6. 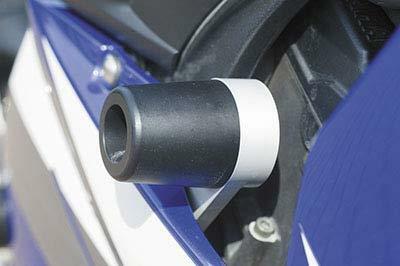 Carbon covers attach by clips or self-tap screws to the leading edge of an exhaust’s end-can. They won’t save your exhaust in a really high-speed spill, but can prevent major damage during slides. Ideal for heavy touring bikes which get dropped at the road side and bikes whose ground clearance is limited by cans. 7. 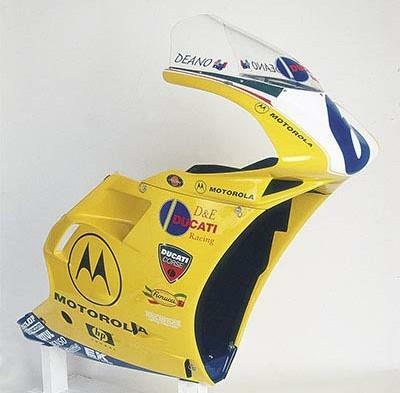 A pattern full fairing and single seat unit are ideal for trackday bikes as they are considerably cheaper to replace or repair if made of glass-fibre. Road-going versions with the holes for lighting systems are also available. Both versions do not crash-proof your bike, but they do limit damage to your bank account. 8. 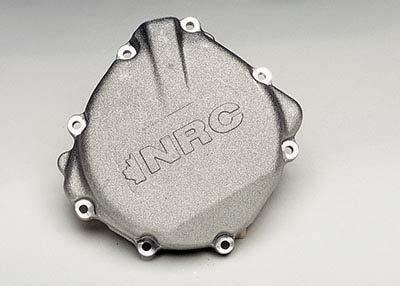 Lightweight carbon-Kevlar mix engine casing covers minimise damage in a low-speed spill or slide. They are model specific as they mimic the original casing cover’s shape and attach with a rubbery adhesive, which in itself provides a small degree of impact absorption. They also improve a bike’s ‘race image’ no end. 9. Trackday and club racers who might bin their bike several times in a season should invest in these super-tough engine covers. 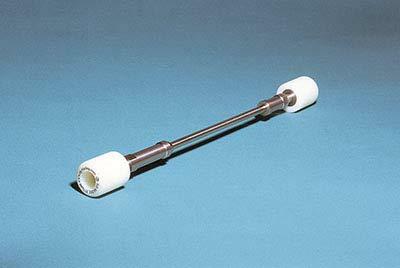 They are made from cast alloy or machined from solid, and are around twice the thickness of the standard items and bolt on as direct replacements. These should survive all but the most extreme accident. 10. Designed to protect off-road riders’ hands, brush guards can also help save levers during a crash and can be adapted to fit road bikes. There are two types: plastic paddle type (pictured) and tougher wraparound aluminium jobs solidly mounted at both ends – one near the lever mount, and the other at the bar end. 11. Handlebars always get hit, regardless of the type of accident. Hardwearing nylon or PTFE buttons (pictured) in place of the bar end weights will slide rather than grip to reduce damage. Even better still are replacement steel bar-ends (which will still damp out engine vibration) with replaceable nylon end-sections/inserts. 12. 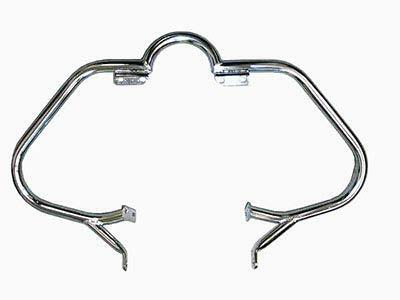 Made from tubular steel and steel plate for the mounting points, engine crash bars are not the most aesthetically-pleasing addition to a bike, but allied to rear bars, they will also stop damage to footpegs and brake and gear levers. These can make a bike virtually crash proof – the only thing to get damaged under 50mph being the bars and rider’s pride. Poll: How do you protect your bike from thieves when you're parked up? How far would you go to protect your bike? How does PCP work and what are the options?